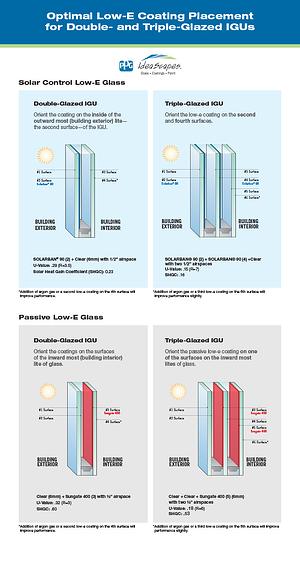 For double-glazed IGUs using solar control low-e glass, orient the coating on the inside of the outward most (building exterior) lite—the second surface—of the IGU. The addition of argon gas or a second low-e coating on the 4th surface will further improve performance. 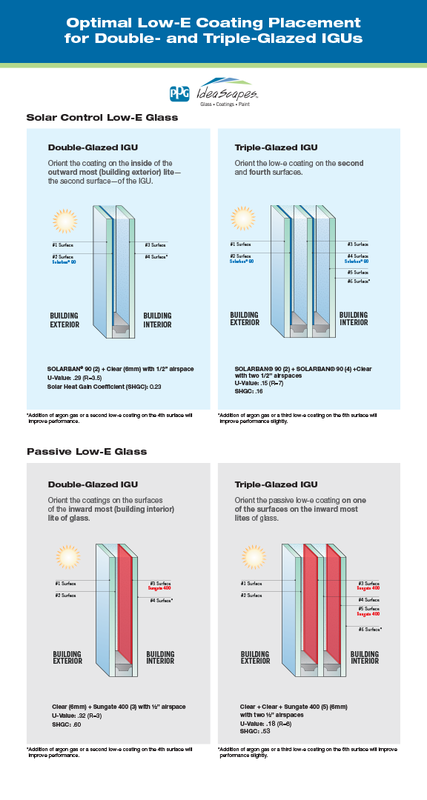 For triple-glazed IGUs using solar control low-e glass, orient the low-e coating on the second and fourth surfaces of the IGU. 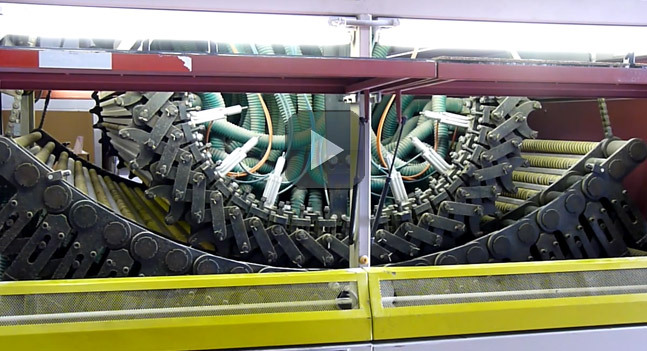 Here, the addition of argon gas or a third low-e coating on the 6th surface will improve performance slightly. For double-glazed IGUs with passive low-e glass, orient the coatings on the surfaces of the inward most (building interior) lite of glass. 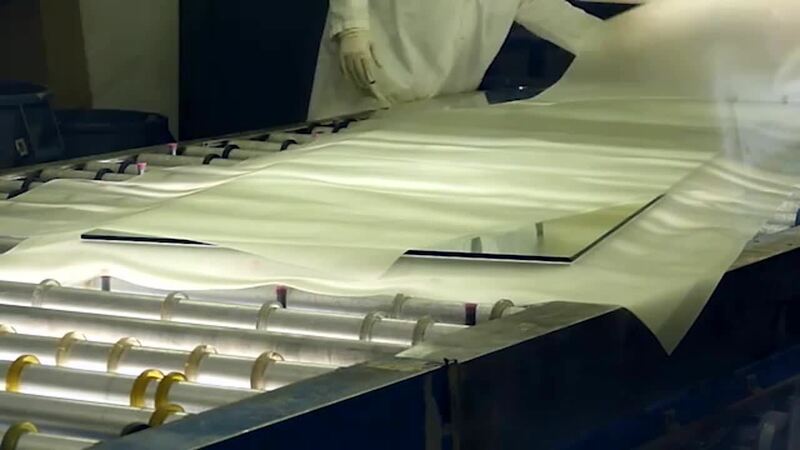 Similar to solar control low-e glass, the addition of argon gas or a second low-e coating on the 4th surface will improve performance. For triple-glazed IGUs with passive low-e glass, Orient the passive low-e coating on one of the surfaces on the inward most lites of glass. To improve performance slightly, add argon gas or a third low-e coating on the 6th surface.